Broadway Title uses Get New Title to process all title requests. To order a new title click here. If you are new to us you will need to create an account. Previous customers may just log in. Once logged in you will need to complete the online form to begin the process. 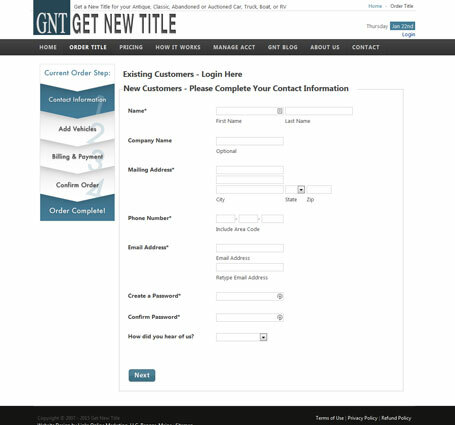 We will provide you with any forms that will be required. To check on the price of a new title click here.